The Midnight Freemasons: A Visit To The Congressional Cemetery in Washington D. C.
A Visit To The Congressional Cemetery in Washington D. C.
I have long been fascinated by cemeteries, not for any morbid reason, but because of the quest to learn the history of some of the people whose final resting place they contain. One of the most historic cemeteries in the United States is Congressional Cemetery located on Capitol Hill in Washington D.C. This 35 acre site has over 55,000 burials and contains some of the most prolific names in Washington D.C. and in turn our nation’s history. Amongst the dignitaries buried at Congressional are President William Henry Harrison, President John Quincy Adams, President Zachary Taylor and numerous members of Congress, cabinet members and military officers. On my visit I was focused on finding out about the Masonic connection to the cemetery. I didn’t have to look far as I saw a Masonic Flag flying in one section of the cemetery. 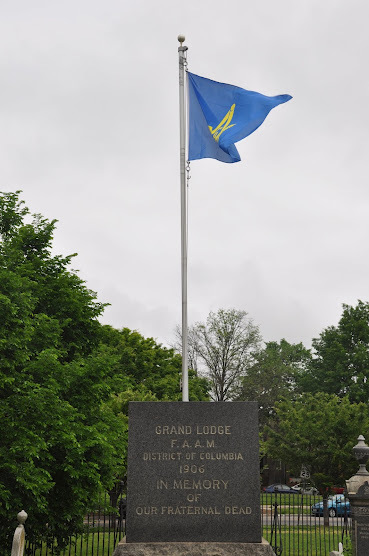 Beneath the flag was a granite monument placed by the Grand Lodge of Washington D.C. in memory of their fraternal dead. 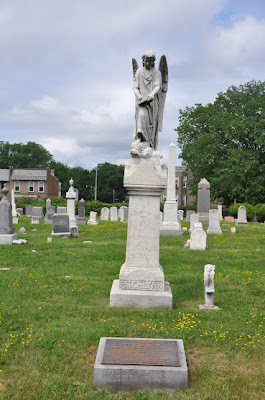 There were numerous grave markers in the vicinity with Masonic symbols on the stones, providing a clue to some of the past members of the DC Grand Lodge. There were hundreds of grave markers with Masonic symbols on them. Some had merely the square and compass while others had Scottish Rite, York Rite and other Masonic bodies on them. As I was walking down a row of graves, I stumbled upon Brother John Phillips Sousa, who was one of the most famous band leaders in the world and composed many of the famous march songs still played to this day. Brother Sousa became a member of Hiram Lodge No. 10, Washington D.C. on July 15, 1881. 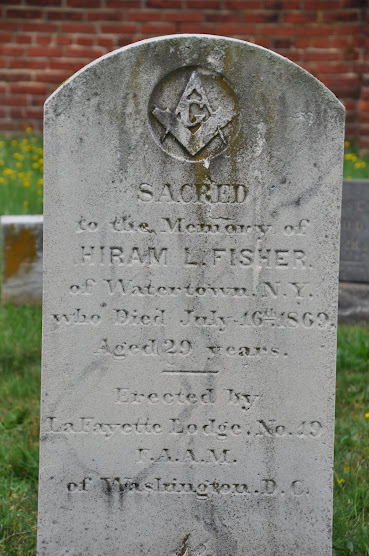 He was also a member of Almas Shriners, the York Rite and other Masonic bodies. 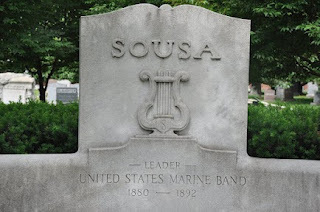 Upon his burial on March 10, 1932, the Almas Temple Band played in his honor. Congressional Cemetery contains a chapel located in the center of the cemetery. I was given a personal tour of the facility by the caretaker. The chapel was used for funerals and holds approximately 75 people. 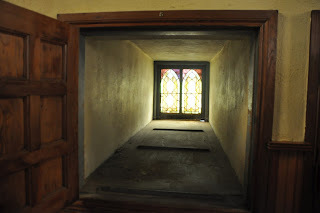 Inside there are several holding vaults that the caskets would have sat in while awaiting their turn for a funeral. In its’ heyday there were burials per day. 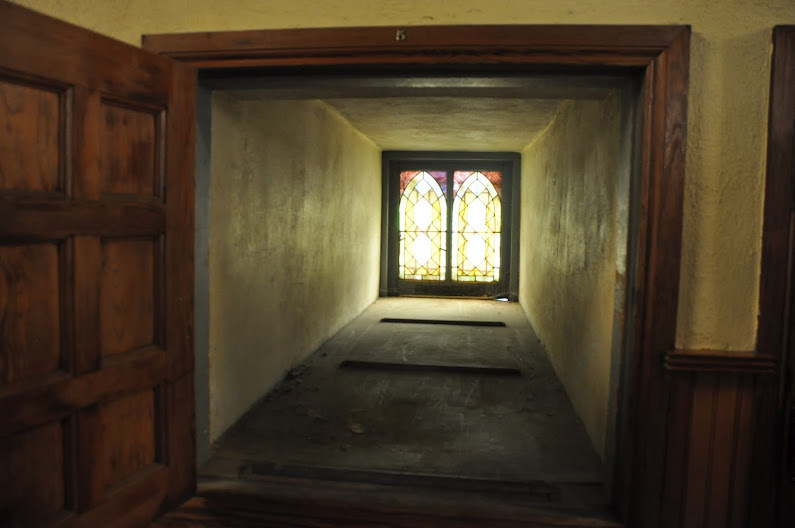 The casket was placed through the outside of the building and there was a door on the interior that opened when it was time to be removed. The chapel also had a Masonic connection. 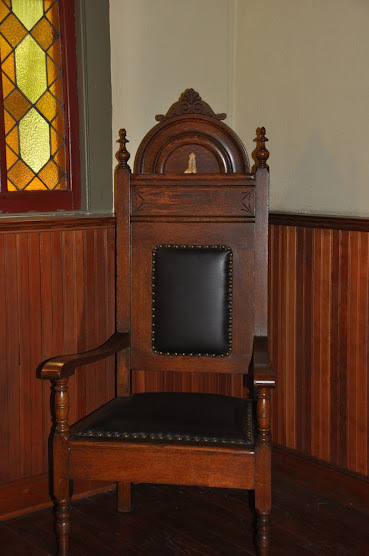 The three chairs on the altar area had the symbols of the 3 principal officers of a lodge WM, SW and JW. I suspect because of the large number of fraternity members buried in the early days, these might have played a role in the Masonic funeral service. One of the most interesting stories I was told is about former US Attorney General William Wirt who died in 1834. Mr. Wirt was the anti-Masonic party candidate for President of the United States in 1832. Some claim that Mr. Wirt was a former Freemason. He is buried at Congressional and sometime in the 1970’s, his tomb was broken into and his skull was removed. It was not even noticed until sometime in the early 2000’s that it had been stolen. 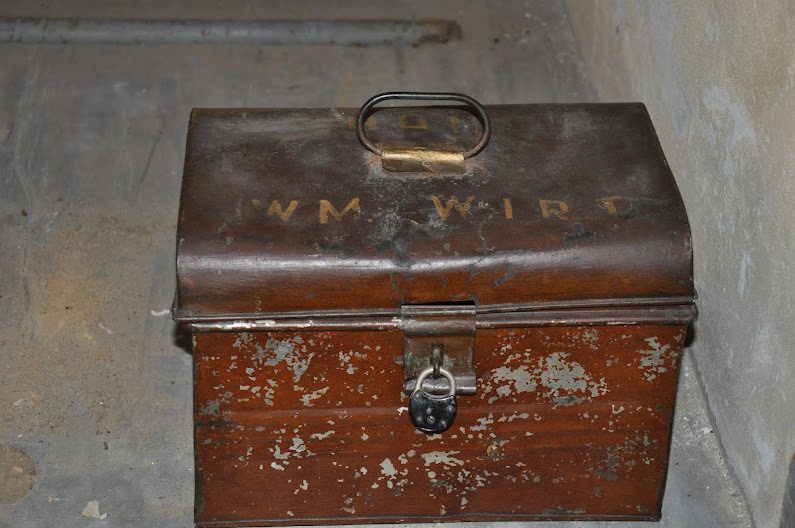 An anonymous phone call set off a series of events that eventually returned it to the cemetery to be reunited with the rest of Mr. Wirt’s remains after verification by the Smithsonian Institute. 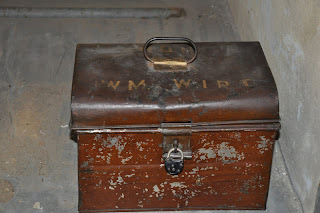 I was shown the box that held the skull for many years. Perhaps another Masonic Conspiracy or Dan Brown novel waiting to happen! 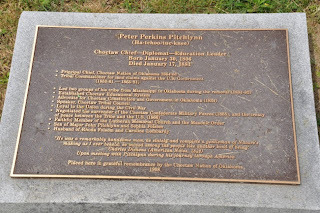 One of my final stops on the journey was to the grave of Peter P. Pitchlynn who was a Native American member of the Choctaw Nation and a prominent Freemason. 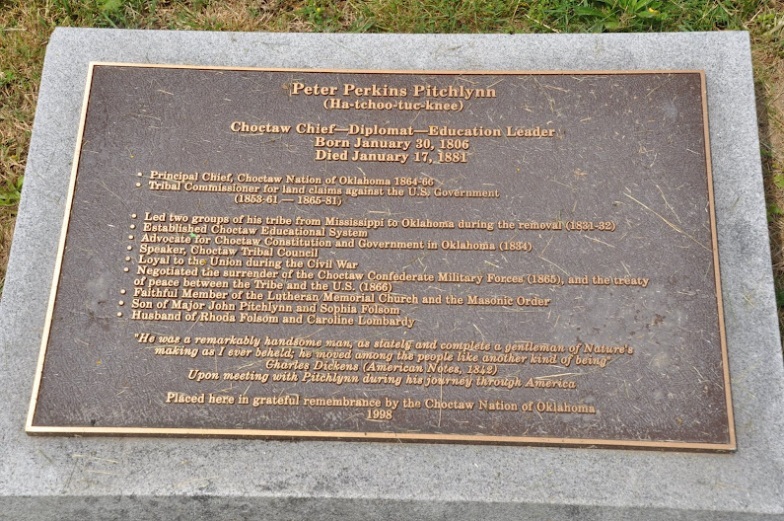 Brother Pitchlyn was a member of Washington Commandery of Knights Templar, a 33rd Degree Scottish Rite Mason, and was Chief of the Choctaw Nation and extremely active in national affairs serving as an advocate for his people. It was incredible visit and time didn’t allow me to even see the entire cemetery. I highly recommend a visit when you are in Washington D.C. Congressional has several walking tours that you can take that help you undestand the hisotry of those there. The Cememtery is open daily.